Location: At the end of a steep track down to rail level running from the end of Philips Road. 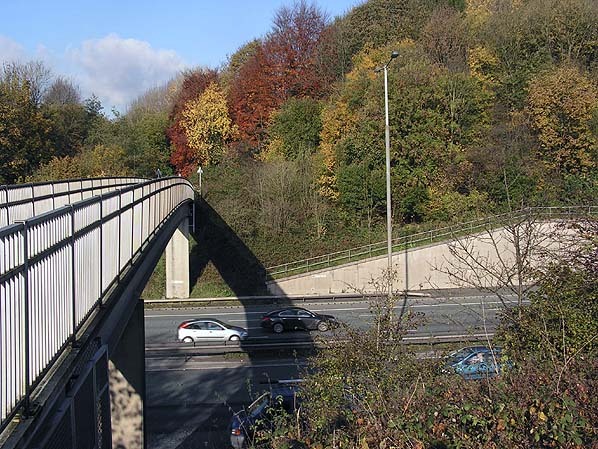 Immediately west of a new footbridge over the M6 motorway. Present state: Site lost 40 feet above the M60 Motorway. Notes: Molyneux Brow station was on the East Lancashire Railway’s (ELR) Clifton Junction to Accrington line which had opened in stages between September 1846 and August 1848. At first the idea was for a line between Clifton Junction and Rawtenstall via Bury which was discussed at a meeting on 24th September 1843, the outcome being the creation of the Manchester, Bury & Rossendale Railway (MB&RR). This company was formally incorporated on 4th July 1844. While construction was under way another company, the Blackburn, Bury, Accrington & Colne Extension Railway (BBACER), proposed to build a line between Stubbins, which lay to the north of Ramsbottom, and Accrington. The aims of the two companies were so aligned that on 21st July 1845 the companies merged as the East Lancashire Railway. South of Clifton Junction the ELR had to use the Lancashire & Yorkshire Railway route to enter Manchester, and there was a dispute over payments made by the ELR for this privilege. On 12th March 1849 the L&YR blocked the line at Clifton Junction, and numerous trains were held up, until the matter was resolved. immediately south-east of this platform. The goods yard didn't handle livestock. An access road, Philips Park Road was built at the request of the Philips family (of Philips Park Hall, Whitefield), to give them access to Molyneux Brow station. A short distance beyond the sidings the line crossed the broad Irwell valley on the stone-built, thirteen-arch Clifton Viaduct. At the time of opening the station was served by trains going northwards to Colne or Bacup and southbound to Manchester Victoria. On 13th May 1859 the Lancashire & Yorkshire Railway (LYR) absorbed the ELR. The LYR started to use the route through Molyneux Brow as an alternative to its congested main line between Manchester and Leeds which brought much extra traffic. The LYR also routed much of its holiday traffic through the station. From 1st September 1879 passenger services that had originated from, or were heading to, the Bacup line were transferred south of Bury from the route via Clifton Junction to a new line via Prestwich; this reduced the number of local services that called at Molyneux Brow. On 1st January 1922 Molyneux Brow became part of the London & North Western Railway (LNWR). One year later, on 1st January 1923, the LNWR became a constituent of the London Midland & Scottish Railway (LMS) by which time, of the twenty-five in each direction using the line, fewer than eight called at Molyneux Brow. The LMS considered the station uneconomic: the One-inch Ordnance Survey map of 1928 showed that there was practically no population within a mile of the station. The lack of a road crossing of the River Irwell and the Manchester, Bolton & Bury Canal south-west of the station, and the use of the intervening valley floor as Bolton Corporation sewage farm, severely limited its hinterland in that direction. The station was an early closure, all services ceasing on 29th June 1931. Passenger and goods trains continued to pass through the site of the station until 3rd December 1966. The line closed on 5th December 1966, and within a couple of years the site of Molyneux Brow station was obliterated by what became the M60 Motorway. Drivers on the M60 cannot fail to notice the splendid Clifton Viaduct just south of Molyneux Brow. The removal of the embankment at its north end to make way for the M60, and at the southern end for industrial buildings, has left the viaduct stranded and forlorn. 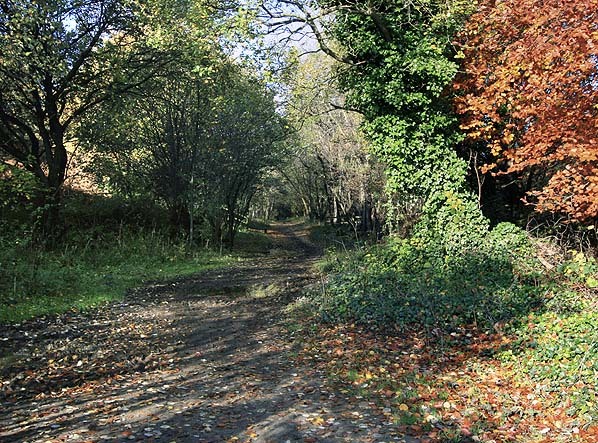 The route of the line through the Molyneux Brow station site has been converted into a 4km footpath and cycleway known as the Outwood Trail. A new footbridge has been built over the M60 immediately west of the site of Molyneux Brow station. See also Radcliffe - The Railways (web site) and Bike Rides around the Greater Manchester area - the Radcliffe - Clifton Railway Line. Numerous photographs along the route. 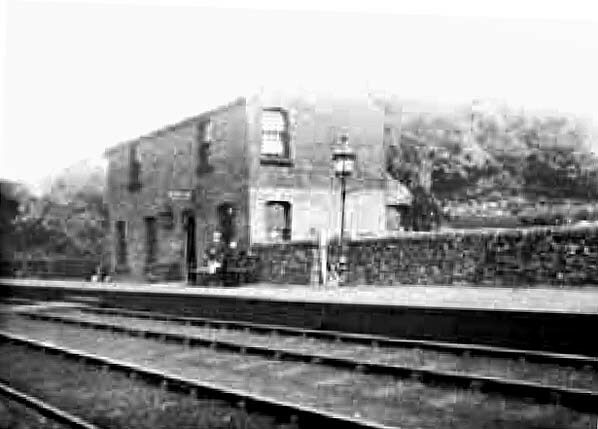 The only known photo of Molyneux Brow station in early 20th century. Stationmaster Mr. Ashworth is seen in the picture. Looking north at the site of Molyneux Brow Station in November 2010. In the late 1960s the site of the station was lost when the M62 Motorway (later to become the M60) cut through the alignment of the railway. The footbridge is immediately west of the station site. The track bed can be seen either side of the footbridge which runs parallel with the station but a few yards to the west. Looking north along the track bed from the site of Molyneux Brow station in November 2010. 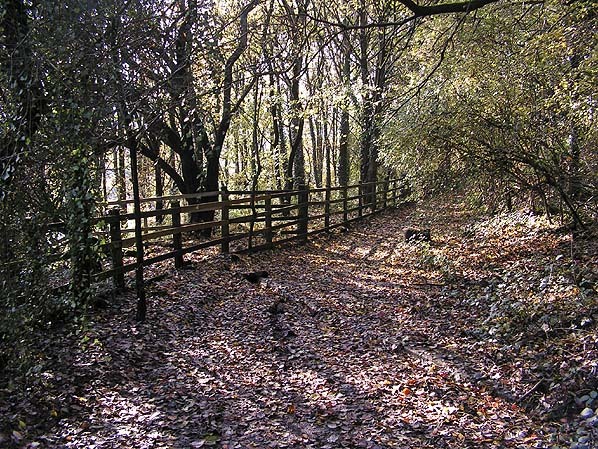 The Outwood Way path follows the track from here to Radcliffe. Looking west along the former Molyneux Brow station approach road in November 2010. 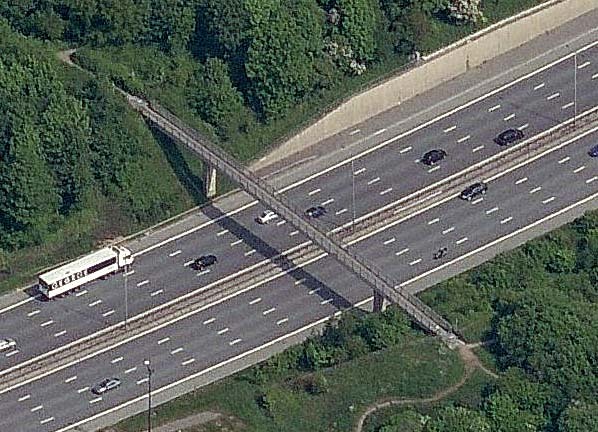 The road would have continued in a straight line beyond the fence but its route was obliterated by the construction of the M62 Motorway in the late 1960s which later became the M60 Manchester orbital route. 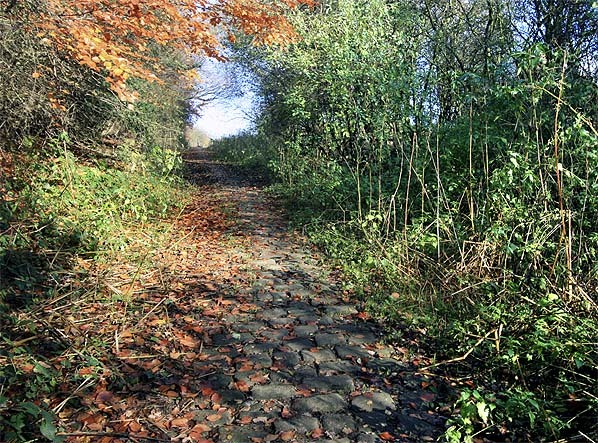 Further up the approach road the original cobbled surface is still visible.